(91outcomes.com) - The military medical corps in the various branches have been responsible for some of the great leaps forward in treating battle injuries. The Veterans Administration has tried to match the treatment level provided at military hospitals with long term programs that over the years have met with varying degrees of success. But with the exception of battlefield gas, the military brass and the VA bureaucracy have chosen to act like ostriches over toxics exposure for nearly one hundred years. After every war it has taken years for the VA to acknowledge the impact of toxins in military environments and even longer for them to accept responsibility for treatment. The 800,000 – plus lawsuits over asbestos exposure are old news today. But when World War II veterans, especially Navy veterans, began to develop mesothelioma and asbestosis thirty years after the war was over, the reaction from the military infrastructure was, “It wasn’t us.” It took the illness of tens of thousands of shipyard workers and Navy veterans who were exposed to asbestos insulation, asbestos sprays, asbestos gaskets, asbestos bearing packing, and the asbestos fabric used for fire protection to convince the VA that there was a problem. Between about 1930 and 1975 every Navy ship commissioned contained tons of asbestos insulation. The military bases and barracks built during that era contained flooring, roofing, ceiling tiles, insulation, joint compound, and cement that were laced with asbestos. It can still be a challenge for veterans who have developed mesothelioma and who were exposed to asbestos during active duty, to prove to the VA that the exposure occurred during time of service. In the meantime thousands of critically ill veterans were denied treatment for a lethal form of cancer or for asbestosis, which is a progressive, non-curable, respiratory illness that slowly reduces breathing capacity. While most of those veterans are gone, the VA is still often reluctant to treat asbestos related illness as a service-related condition. The story of Agent Orange and its impact on Vietnam-era vets has played out on a public stage, with much more press coverage of and commentary on the issue than occurred with asbestos. For an interminable period of time veterans complained about various illnesses and the military command structure was resolute in denying any connection between the herbicides and veteran complaints. It’s been a very slow turn to the situation today, when the VA provides volumes of information on Agent Orange-related illnesses and health issues. The lawsuits started in 1979. In 1983 as the result of a class action lawsuit, several chemical companies involved with the manufacture of Agent Orange set up a $180 million trust fund to pay damage claims filed by veterans who could claim “total disability” as the result of exposure to the herbicides. However the guidelines for claim recognition, the requirements for proof of illness and the window of opportunity for filing those claims led to fewer than 50,000 paid claims. The lawsuits have continued with no real civil restitution for the additional hundreds of thousands of veterans who may have been exposed, but the VA has slowly come to terms with the health damage that Agent Orange did to an entire generation of combat veterans. In 2003 the acknowledged link between Agent Orange and chronic lymphocytic leukemia; other diseases have followed. This generation’s battlefield poison has taken less time for recognition from the VA, but only because the number of impacted veterans is so high in relation to the number of men and women who served. As with Agent Orange, there is a collection of health problems that initially defied diagnosis as to cause. But the fact that those health problems exist is unmistakable; as this website notes over a third of the veterans who served have developed significant health problems. 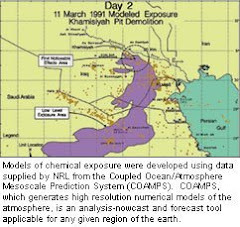 The people who have gravitated to this website and certainly those who maintain it know much more about the Gulf-related health problems and their causes than we do. We can’t contribute to the body of knowledge on Gulf War Syndrome, but we can draw some parallels with previous wars, previous classes of veterans and previous responses from the military. In the case of all three wars, primary exposure to toxins was respiratory in nature. Protective measures were inadequate or nonexistent. That’s not entirely a shortcoming of planning or logistics; in some cases such as with asbestos the danger was not widely acknowledged. What has been consistent, it seems, is the struggle to get VA recognition of and treatment for the health problems generated in these various war theaters. Sure, the health problems have been unusual, or difficult to link to a cause, but the conditions that veterans were exposed to were also unusual. Toxins cause all sorts of problems; multiple toxins cause multiple problems. Most recently the concern among Gulf War veterans has been the authorization of funds for research. A decade’s worth of tangible health problems should be a pretty good basis for clinical studies. Inertia in the VA has become an American military tradition. Ben Stillwater is a freelance writer for Asbestos News, an information and news resource on the risks and dangers associated with high levels of asbestos exposure, and the related illnesses that arise from such exposure. 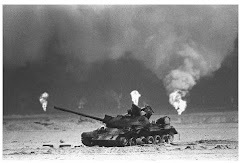 Ben prepared this article for 91outcomes.com as a special service to Gulf War veterans.